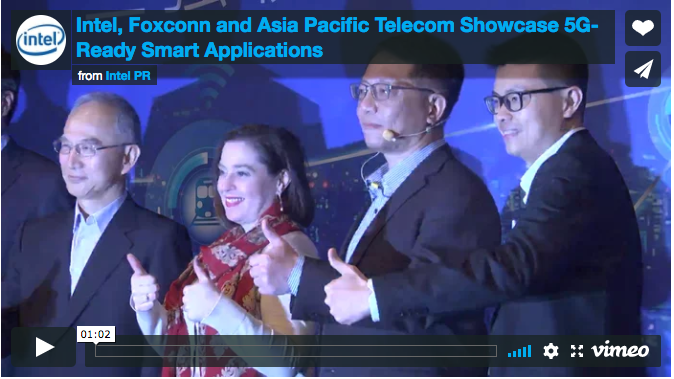 Intel, Foxconn Technology Group and Asia Pacific Telecom, this week offered their first public showcase of facial recognition technology based on a Multi-access Edge Computing (MEC) 5G solution. The proof-of-concept demonstration in Taiwan showed how retailers could offer customers new shopping experiences with just a scan of a shopper’s face. The highly interactive demonstrations included use of facial-recognition technology for residential and business access control, a virtual shopping service and a pay-via-face identification entertainment service using artificial intelligence (AI) and Multi-access Edge Computing. The technology can integrate with facial recognition systems to provide high-speed authentication and, for customers who opt in, a high-touch and exclusive shopping experience. “In a showcase of several 5G-enabled technologies this week, Intel and Foxconn have demonstrated how facial-recognition capabilities can be used to make payments. 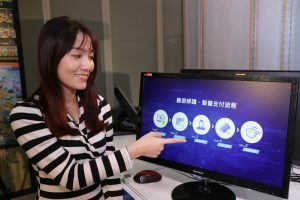 “Such ‘pay via face identification’ technology could allow consumers to make payments for entertainment and retail services using Intel’s Multi-access Edge Computing (MEC) 5G solution along with advanced facial-recognition technology and artificial intelligence (AI). “Intel said the MEC requires a couple of servers which would be installed at different locations, and managed through a centralized MEC controller. Intel says the MEC would be accessible through wired and wireless networks, allowing for a higher margin of flexibility."